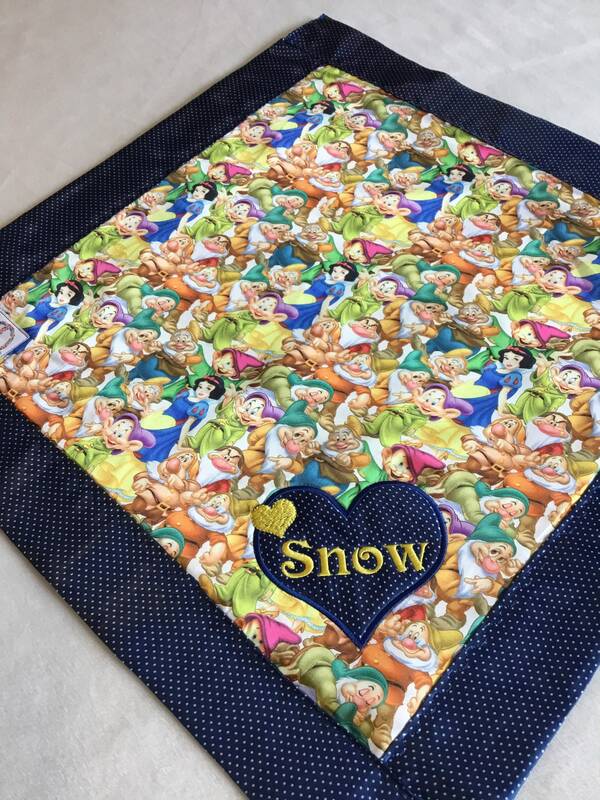 Disney Snow White and the seven dwarfs Baby Blanket. 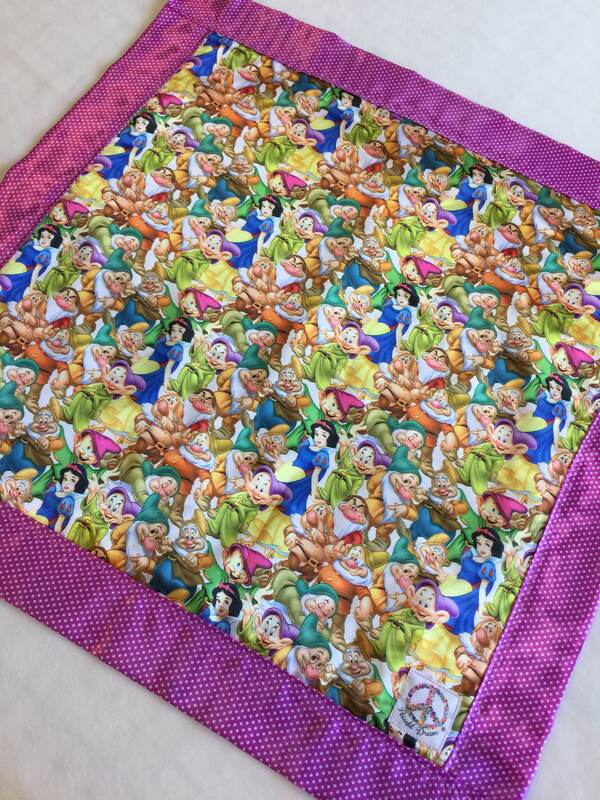 This particular listing is for a blanket with charmeuse satin on both sides. These blankets are made with the softest of materials! I use only the highest quality of silky charmeuse satin! I can ship direct if it's a gift and would be more then happy to add a gift note. I love this! Its so personal. 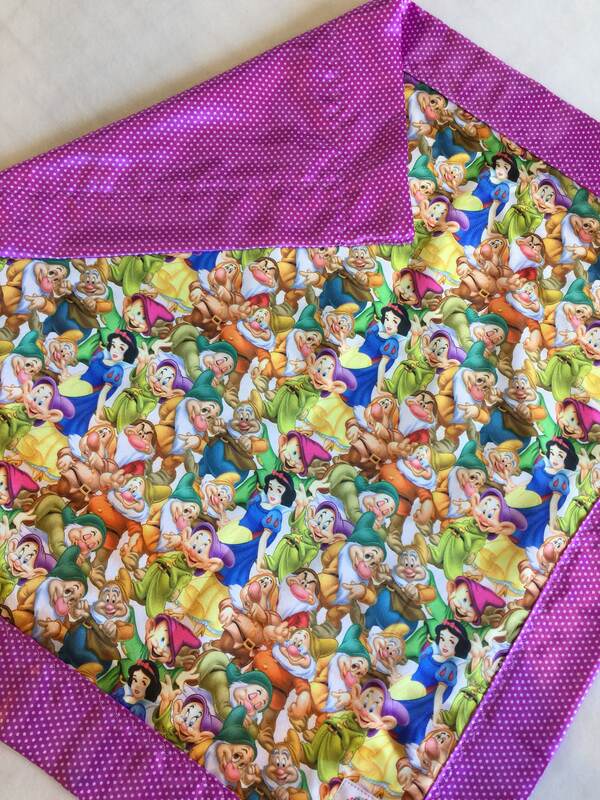 And my grandbaby will love this when she comes into the world May 1st. I'm so impressed with the quality and the colors and I love her name on here. I will definitely order again! Thank you Molly! 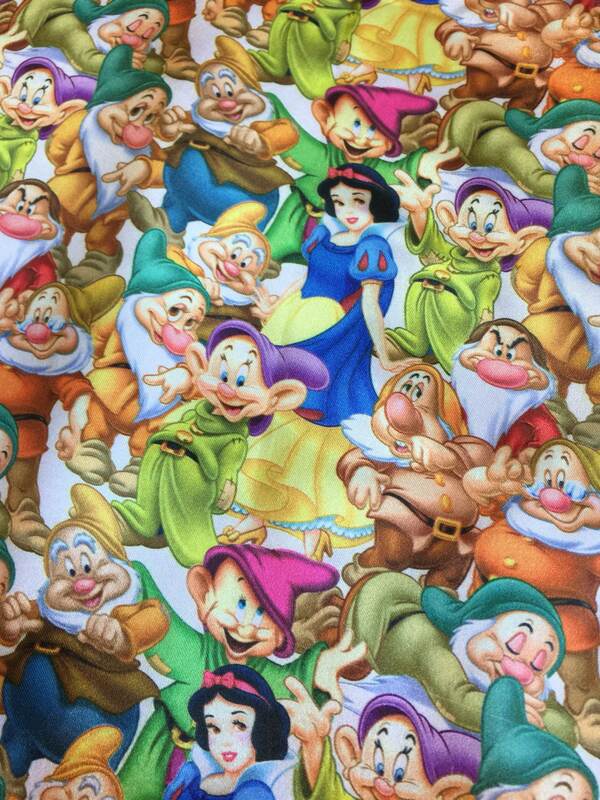 Wow my blanket arrived already! I was not expecting it so fast! It's beautiful and beautifully packaged. 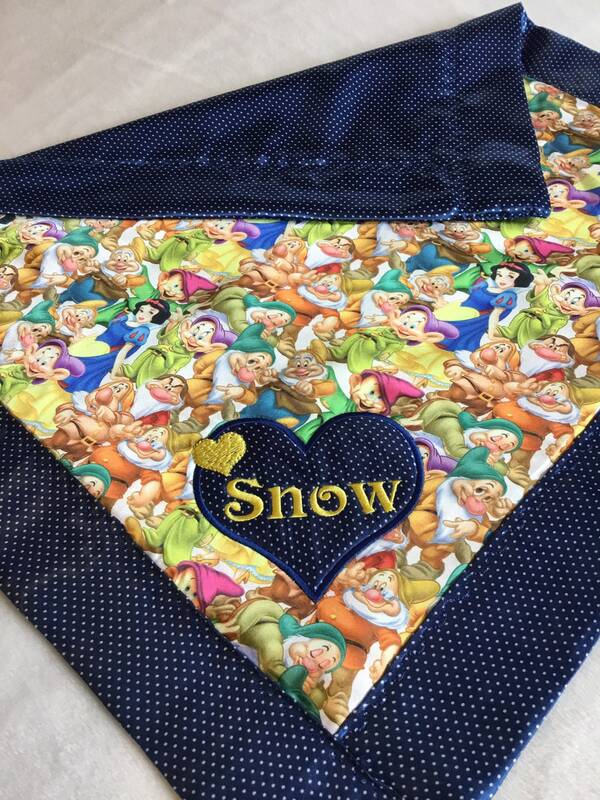 This is going to be perfect in my Snow White baby gift basket. She is going to LOVE it! I really would like to thank Molly for going out of her way to help me find the colors I was looking for, and dealing with me while I made up my mind! :) <3 Amazing, I would order from her again. I hope you continue making your dreams come true! Thank you again. Very happy with my purchase. 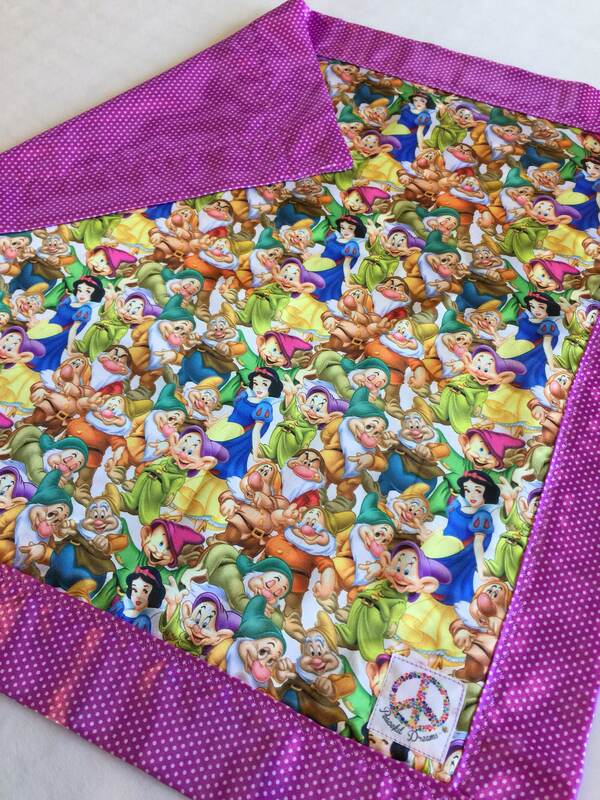 The best hand made baby silky blankets! 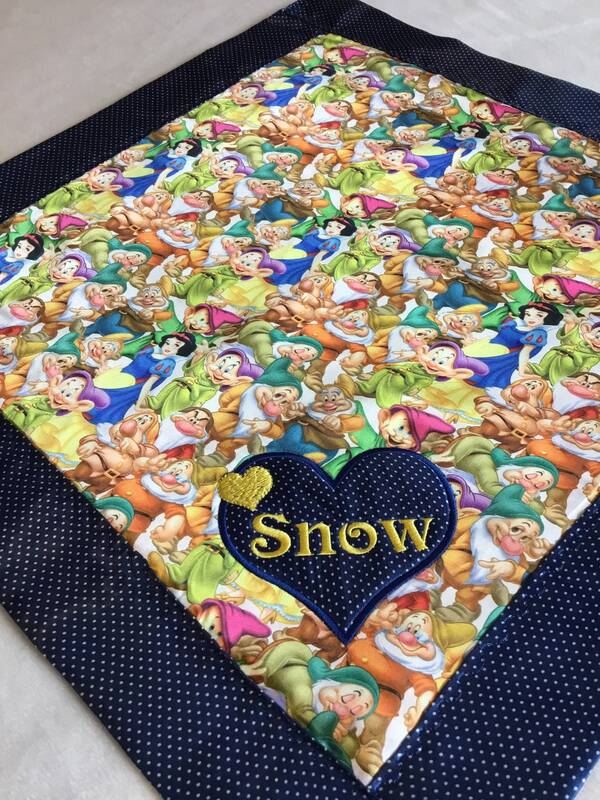 This one was also the perfect gift for a friend's grand baby - the family loves Disney. So soft - amazing quality.